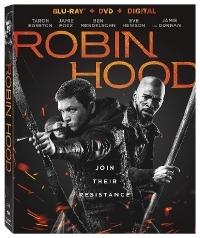 New on Blu-ray and DVD for February 19, 2019! 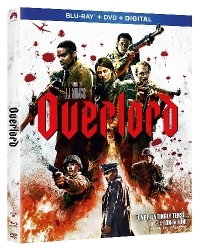 Overlord comes from jJ Abrams' Bad Robot and is truly badass. With only hours until D-Day, a team of American paratroopers drop into Nazi-occupied France to carry out a mission that’s crucial to the invasion's success. 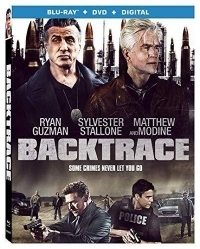 Her'es what Backtrace is about: After suffering a brain injury from a bank heist gone wrong, MacDonald develops amnesia and is put into a prison psychiatric ward. Following his seventh year of incarceration, he is coerced by an inmate and a ward doctor to break out of prison, and he's injected with a serum that forces him to relive the life he's forgotten. MacDonald must now elude a local detective, a toughened FBI agent, and the drug's dangerous side effects to recover the stolen money. 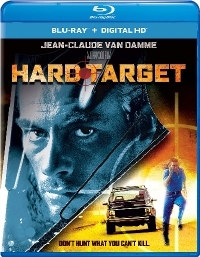 Jean-Claude Van Damme teams up with world-famous action director John Woo (Face/Off ) for the electrifying thriller, Hard Target. Chance Boudreaux (Van Damme) is the target of an evil mercenary (Lance Henriksen) who recruits combat veterans for the "amusement" of his clients - bored tycoons who will pay a half a million dollars to stalk and kill the most challenging prey of them all: Man. So when beautiful Natasha Binder (Yancy Butler) hires Chance in search of her missing father, she gets more than she bargained for. Laced with dark humor and slam-packed with electrifying action, Hard Target is a must see for action fans.